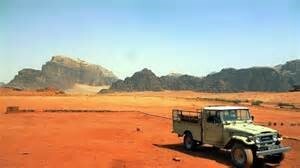 Jordan has always fascinated visitors with its eventful history, monuments of art and architecture, cultural traditions, diversity of natural landscapes and-most notably-the hospitality of its people. 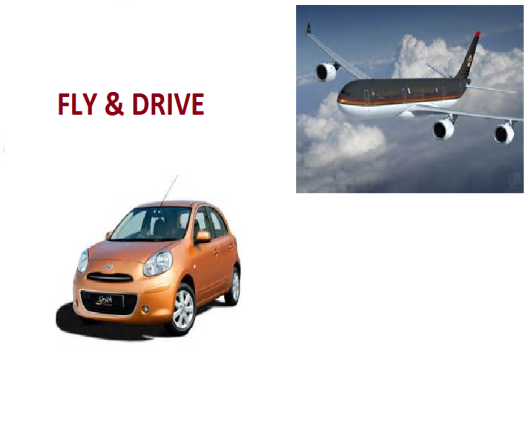 Day 1: Amman Airport – Amman Hotel Upon arriving Queen Alia International Airport, you will be received by our Meet & Assist representatives assisting you on your way through immigration. Transfer to your hotel in Amman for O/N. Day 2: Amman Hotel – Madaba – Mount Nebo – Dead Sea – Petra After breakfast start visiting Madaba which has the oldest known mosaic map of the holy land, Mount Nebo visiting its Byzantine Church and the Dead Sea after which we will continue to Petra. Overnight. 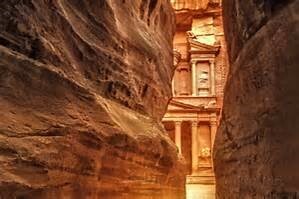 Day 3: Petra Hotel – Petra Visit – Amman Full day visiting Jordan’s Jewel “Petra”, one of the 7 wonders of the world. You will take a horseback ride, walk through the Siq, the only access to this city. 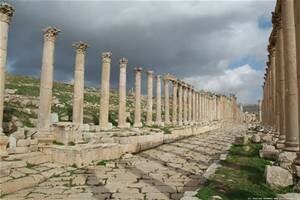 Return back to your hotel in Amman for overnight. Day 4: Amman Hotel – Amman City Tour – Jerash – Amman After breakfast, we will do a short tour of Amman before heading to the Roman city of Jerash, after which we will return to Amman. Overnight. Day 5: Amman– Amman Airport – Departure After breakfast, you will be transferred to Queen Alia International Airport in Amman for departure. Day 2: Amman Hotel – Free Day – Amman Hotel Free day in Amman. Optional Tours available upon request. Check last page. Day 3: Amman Hotel – Madaba – Mt. Nebo – Petra Hotel After breakfast, head towards the city of Mosaics, which has the oldest known mosaic map of the holy land. 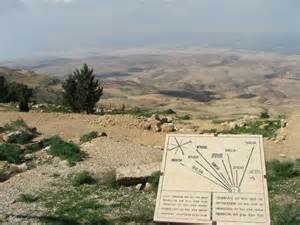 After that we will go to view the Jordan Valley from the famous Mount Nebo visiting its Byzantine Church. 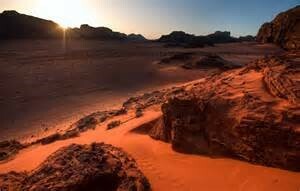 We will then continue to Petra. O/N in Petra. Day 4: Petra Hotel – Petra Visit – Petra Hotel Full day visiting Jordan’s Jewel “Petra”, one of the 7 wonders of the world, a city fully carved in the rose red stones of Wadi Mousa Mountains. Upon arrival, you will take a horseback ride, walk through the Siq, the only access to this city. Return back to Petra for overnight. Day 5: Petra Hotel – Wadi Rum – Dead Sea Hotel After breakfast, we will depart to Wadi Rum, which was known as “Lawrence of Arabia land” exploring the desert for two hours by 4WD.Then continue to the lowest point on earth,” the Dead Sea” for overnight. Day 6: Dead Sea Hotel – Amman Airport After breakfast, you will be transferred to Queen Alia International Airport in Amman for departure. Day 1: Amman Airport – Amman Hotel Upon arriving Queen Alia International Airport, Meet & Assist by our representatives assisting you on your way through immigration. Transfer to your hotel in Amman for O/N. Day 3: Amman Hotel – Madaba – Mt. Nebo – Petra Hotel After breakfast, head towards the city of Madaba, which has the oldest known mosaic map of the holy land. Then we will visit Mount Nebo and its Byzantine Church before proceeding to Petra for overnight. Day 4: Petra Hotel – Petra Visit – Petra Hotel Full day visiting “Petra”, one of the 7 wonders of the world. Upon arrival, you will take a horseback ride, walk through the Siq, the only access to this city. Return back to Petra for overnight. Day 5: Petra Hotel – Wadi Rum – Dead Sea Hotel After breakfast depart to Wadi Rum exploring the desert for two hours by 4WD.Then continue to the lowest point on earth,” the Dead Sea” for overnight. Day 6: Dead Sea Hotel – Free Day – Dead Sea Hotel Free day at the Dead Sea. Optional Tours available upon request. Check last page. Day 7: Dead Sea Hotel – Amman Airport After breakfast, you will be transferred to Queen Alia International Airport in Amman for departure. Day 4: Petra Hotel – Petra Visit – Petra Hotel Full day visiting Jordan’s Jewel “Petra”, one of the 7 wonders of the world. You will take a horseback ride, walk through the Siq, the only access to this city. 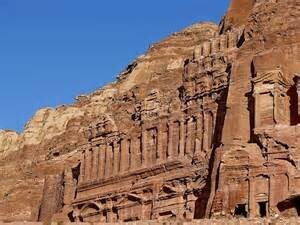 Return back to your hotel in Petra for overnight. Day 5: Petra Hotel – Wadi Rum – Aqaba – Aqaba Hotel After breakfast depart to Wadi Rum exploring the desert for two hours by 4WD, then we will drive to the Red Sea Resort City of Aqaba for overnight. Day 6: Aqaba Free Day Free day in Aqaba. Relax by the hotel pool or the city beaches, exploring the market, the ancient ruins of Aqaba, snorkeling or Scuba Diving. Optional Tours available upon request. Check last page. 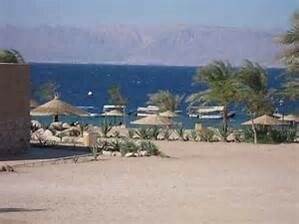 Day 7: Aqaba Hotel – Free Morning –Dead Sea Free morning in Aqaba, before heading to the Dead Sea. Day 8: Dead Sea – Amman Airport – Departure After breakfast, you will be transferred to Queen Alia International Airport in Amman for departure. Free delivery and collection within Amman and Aqaba cities and their airports and at Dead Sea. A police report is a must in case of an accident. Day 1: Amman Airport – Dead Sea Resort Upon arriving Queen Alia International Airport, you will be received by our Meet & Assist representatives assisting you on your way through immigration. Transfer to your Resort at the Dead Sea for overnight. Day 2: Free day at the Dead Sea. Optional Tours available upon request. Check last page. Day 3: Dead Sea – Amman – Jerash – Ajloun – Dead Sea Start visiting the city of Roman Jerash, then the castle of Ajloun before returning to the Dead Sea for overnight. 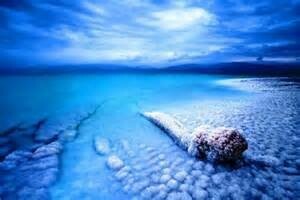 Days 4, 5, 6, 7: Dead Sea Resort – Free Days Optional Tours available upon request. Check last page. Day 1: Amman Airport – Amman Hotel Upon arriving Queen Alia International Airport, you will be received by our Meet & Assist representatives assisting you on your way through immigration. 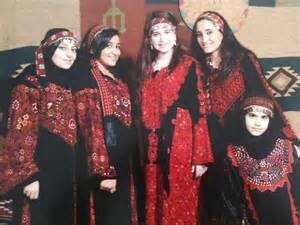 Transfer to your Hotel in Amman for overnight. 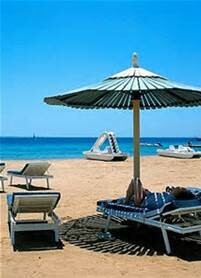 Days 3, 4, 5, 6: Aqaba Resort – Free Days Free days in Aqaba. Optional Tours available upon request. Check last page. Day 7: Aqaba – Dead Sea After breakfast, depart to Dead Sea for overnight. Day 8: Dead Sea – Amman Airport – Departure After breakfast, transfer to Queen Alia International Airport for departure.